Twitter can be a bit intimidating for new users, even compared to other social sites. There’s so much going on all at once, and it all seems to change at warp-speed. Combine the intimidation factor with the considerable time requirement necessary to build a strong Twitter presence, and it’s natural that some companies are reluctant to dive in. Twitter is a powerful marketing and sales tool. It’s got a learning curve like any other social site, but any initial intimidation wears away quickly once you familiarize yourself with the community. 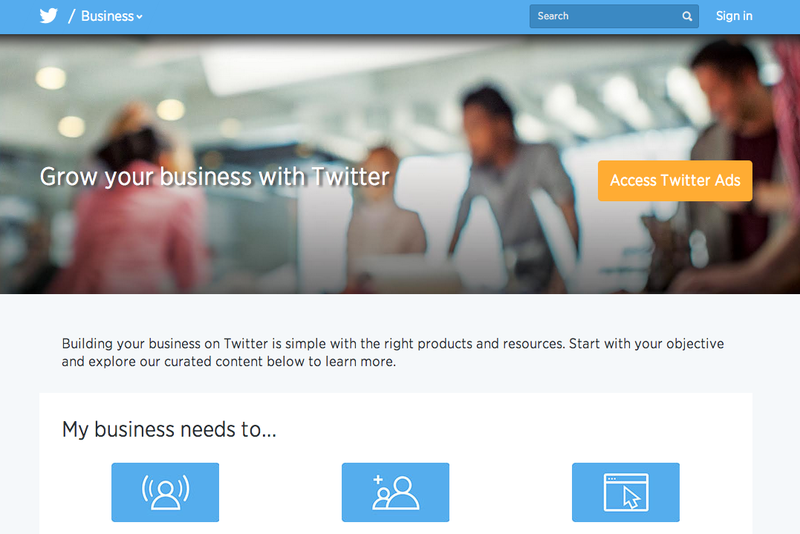 The benefits are many, as Twitter gives you the opportunity to connect with customers, build influence in your industry, and introduce your brand to countless new prospects. Let’s imagine, for a second, that none of your customers or potential customers are active on social media. If that were the case, which social channel would they be most likely to encounter in other digital spaces, and in day-to-day life? Tweets show up in all sorts of unexpected places, and you certainly don’t need a registered Twitter account to find them. Twitter is the social channel of choice for up-to-the-minute conversations, a fact that’s especially apparent when there’s a big television event. TV networks have increasingly integrated Twitter into broadcasts, with streams of tweets running on screen, and TV personalities answering tweeted questions on air. You can’t go anywhere online without bumping into Twitter, either. Website operators use the medium in much the same way as TV networks. It’s a way to stoke conversation, and get your stuff in front of a wide audience. Of course, plenty of your customers are on Twitter, too. It’s just important to recognize that the impact of Twitter reaches far beyond the site’s registered users, and has crept into most aspects of daily life. Twitter is the only site where, in theory at least, any user has the opportunity to engage any other user on equal footing. In practice, it’s going to be difficult to stand out from the thousands of other messages that, say, Lady Gaga or Oprah receive every day, but at least it’s possible. There are plenty of places to find information online, but few that match the pure engagement potential of Twitter. Engaging on Twitter is the perfect way to show people the personality behind your brand. If someone has a question or concern, answer it in a personalized way. If they’re looking for a little friendly banter, you can supply that, too. Just be friendly and respectful, like you would in a face-to-face conversation. Your interactions have the potential to impact more than just the person you’re chatting with, since many Twitter interactions are public. If other users see that you actively answer questions and participate in discussions, they’ll be more likely to engage in the future. In an article for Convince and Convert, Jay Baer relays a seemingly troubling statistic: only five per cent of US consumers follow even a single brand on Twitter. Five per cent! But a customer doesn’t need to follow your brand directly to be influenced by it. Twitter is packed with users who’ve built significant influence in their respective niches. In the same article, Baer notes that “Daily Twitter users are 300-400 percent more likely to write a blog, review products, upload videos, and every social behaviour, than are non-users.” So if your Twitter presence appeals to these users, your message has the potential to spread exponentially. It’s not just about exposure, either. Twitter influencers have the power to shape opinion about your brand among customers. There are plenty of people who read blogs and product reviews, but aren’t active on Twitter. Connecting with influencers give you the ability to reach these customers organically. The benefits of Twitter for businesses are more the worth the time and effort required to maintain an active, engaging Twitter presence. Tweets have infiltrated all areas of modern life, from your favourite TV shows to your most-visited sites online. Twitter is a powerful marketing tool in its own right, and its outside reach extends far beyond even other popular social sites. Looking for more tips on social success and website design in Calgary? Emphasize Design has you covered. Consult our resources to see which social behaviours people respond to, and how to avoid a social media faux pas. We offer all the proven social media services you need to grow your business.